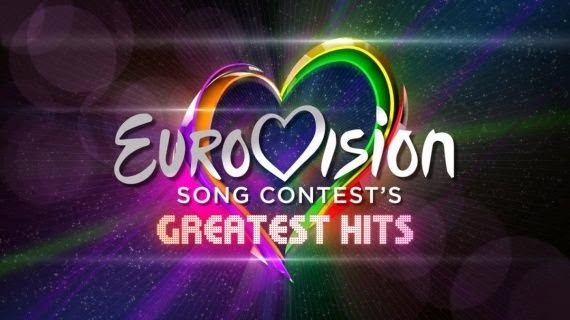 As I mentioned over on Twitter, there has been a delay in posting my Eurovision reviews on here, mainly because I've misplaced my notes from the semi-finals and final. I do have a rough idea where they may be, so it hopefully shouldn't be too long before they appear here. 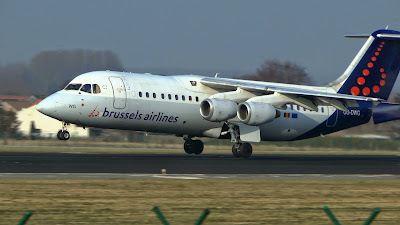 Technically it's not really 'Day 5' but at least we're not speeding off to Brussels Airport in the middle of the night. Our afternoon flight means that we've got some time to hang out before we head to Central Station to catch our train to the airport. 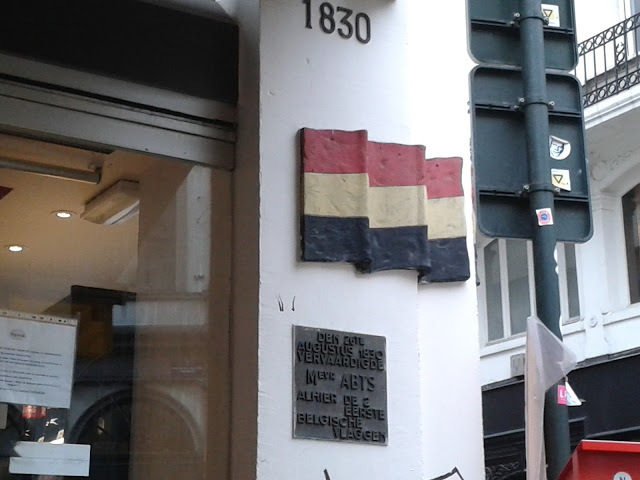 I spotted this on a wall just off the Grand Place: the first Belgian flag no less! I previously mentioned the Grand Place at night, but that fabulous architecture makes it a stunning sight in the daytime too. Anyway I digress. 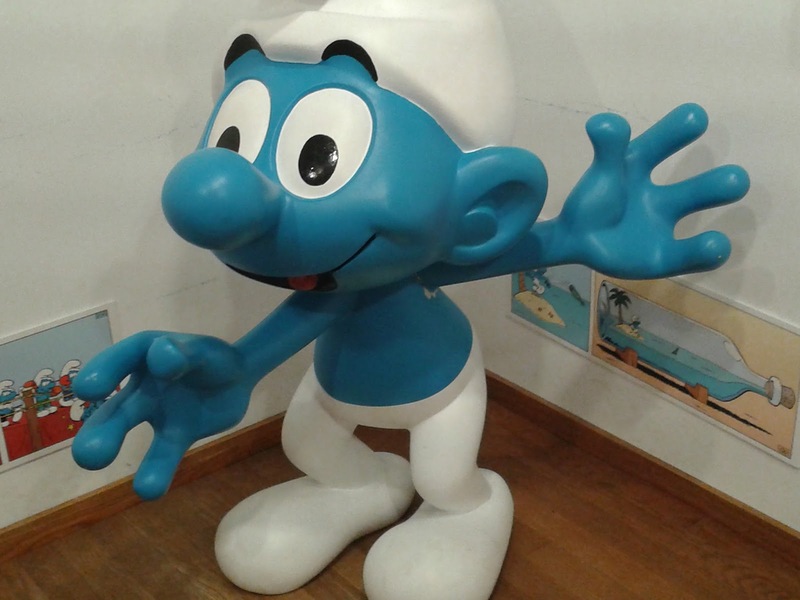 We had a great time in Brussels last month, and the experience turned out to have a more therapeutic effect on me than I could ever imagine. I came home feeling as if a weight had been lifted from my shoulders, and in the weeks to follow, all the situations which had troubled me in my daily life before the holiday, and which I felt could never be resolved, began to lift, one by one. So that's another reason why holidays matter. On the surface it may just be a few days away: but the longer lasting effects can be unexpectedly life-changing, and the memories will last forever. You know how they say, a picture speaks a thousand words? Well, after yesterday's chocolate waffle, it's time for a strawberry one. FOR BREAKFAST. Life, obviously, is good. The good thing about going room-only in our hotel means that we can try out various breakfast dining options. 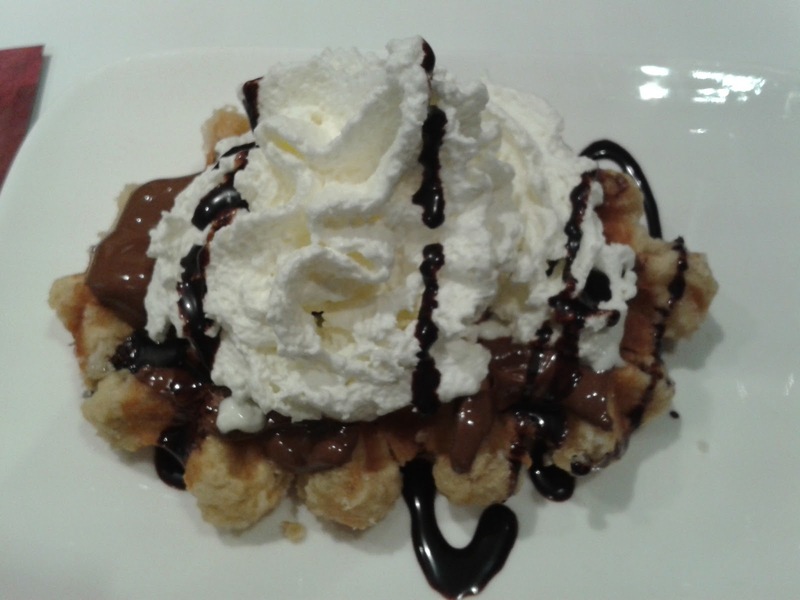 And when in Belgium.....well any time's a good time for waffles!! 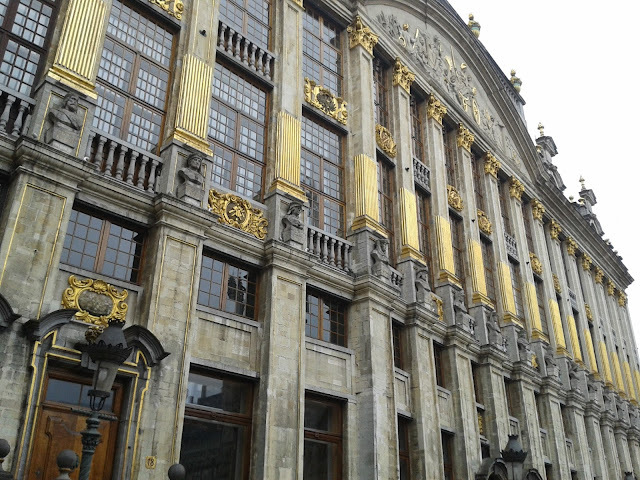 To get the full picture of Brussels and see as much of it in a short time you really need to do both routes of the sightseeing bus tour. Today we're on the 'Europe' route, and we eventually arrive at the European Quarter, the home of the European Commission and all its associated buildings. There is a visitors centre here for anyone who's into that sort of thing, but we're just happy to take the weight off our feet and stay on the bus. With a blog title like EuropeCrazy you'd probably have expected us to leap off the bus and head straight to the visitors centre. But time is short today, so here's a picture of the European Commission instead, as our bus passed it. 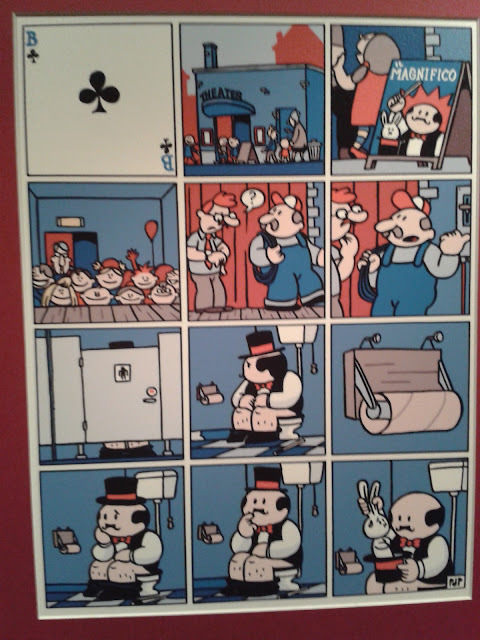 ...which are both celebrated here along with some lesser known comic strips like the amusing Boerke (or Dickie as he's known in French) which gets its own little exhibition. 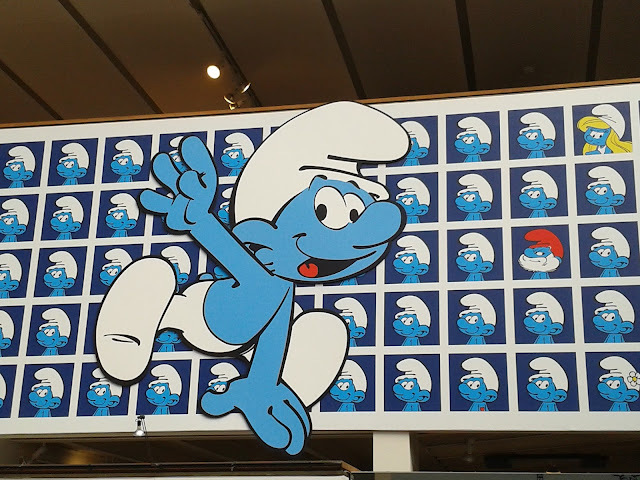 Sections of the centre are dedicated to the journey of a comic strip, how it starts off life as a rough doodle and turns into an often sophisticated art. There is also a temporary exhibition upstairs devoted to Polish comic book artist Rozinski and his epic Viking saga "Thorgal". I wouldn't really call myself a comic strip/comic book fan, but you have to admire the talent and the work which goes into the creation of these works, and for that reason alone the Belgian Comic Strip Centre is well worth a visit. Sadly time is getting on and we are on the last night of our holiday *sob* so after a coffee stop it's back to the hotel to do some packing and get ready for our final evening meal of the holiday at a very nice Indian restaurant just around the corner and down from the Rue des Bouchers. 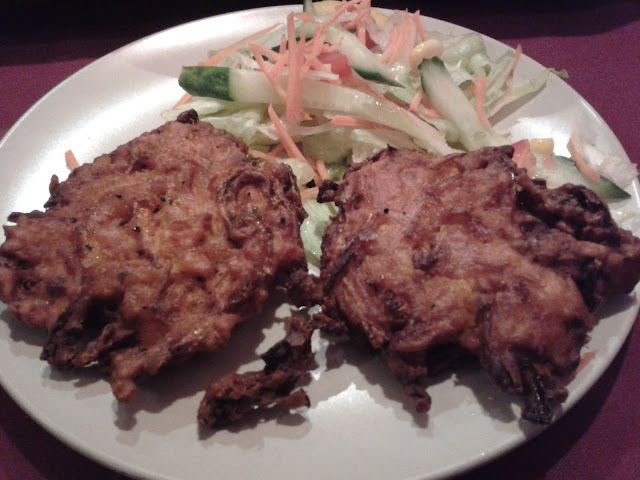 That was just the beginning of a very delicious evening meal. 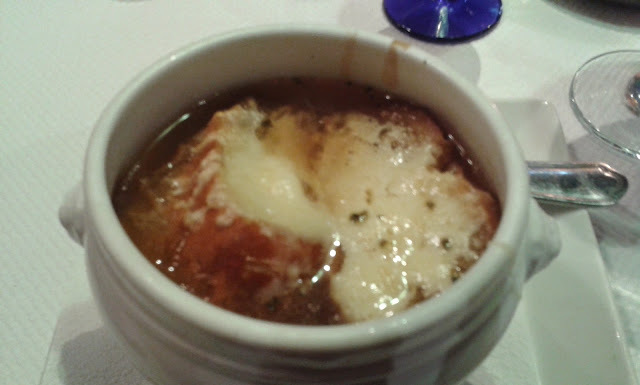 We couldn't fault the food we found in Brussels, but I would say that if you're going over there for a trip, check out some restaurant reviews on Trip Advisor and make a note of what you fancy and where to find it. It will save you a lot of hard work and unneccessary searching when you get there! Even though our holiday is over, it's Friday night and we still have some 'beer research' before the end of the night. 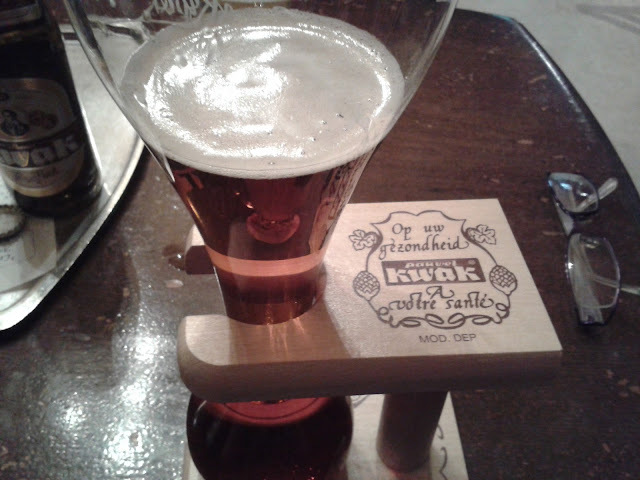 In a fine old bar just off the Bourse area south of Grand Place, I finally encounter Kwak. Which is a famous Belgian beer served in a very unusual 'test tube' glass. 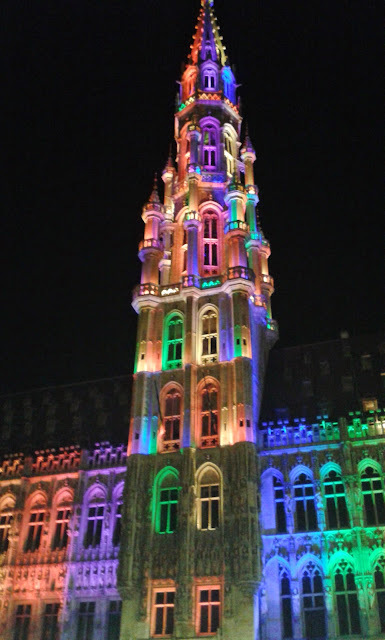 There is a good atmosphere in Brussels city centre on Friday night although as in most cities you should always take all the relevant steps to stay safe, and do your research in advance to ensure that you keep away from the 'danger' areas. We take a late night stroll around a busy Grand Place before our final beer of the evening. It would have been very tempting to stay out a lot later but we are going home tomorrow so we call it a night at just after 1.00 am. After our day spent exploring the city centre yesterday, we're venturing a little further afield and going on a sightseeing bus tour. It's a public holiday in Belgium today (Ascension Day) but you wouldn't really know it. Although the big department stores are closed, it's business as usual for the smaller/souvenir shops whilst cafes, bars and restaurants remain open. Before we head off on our tour though, we have a stroll around the Bourse area, where there's some street entertainment going on - I wonder if that's a regular thing or just because it's a holiday today? 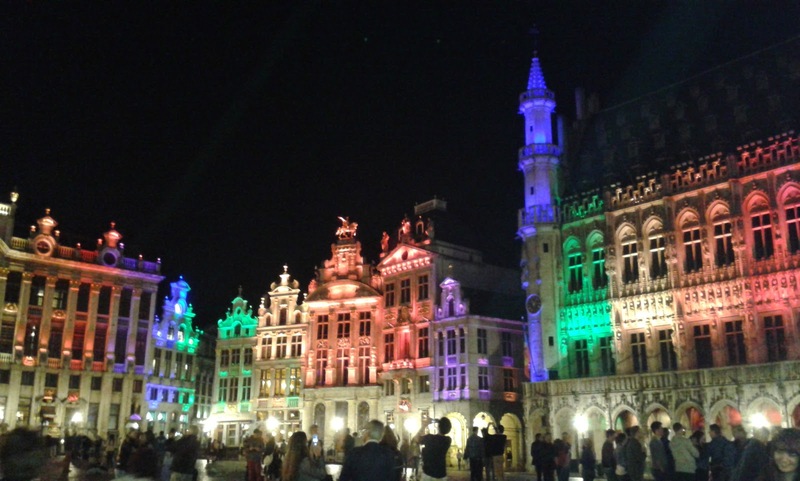 ...and the Bourse itself has been rainbow-fied for the occasion too. After lunch we're off on our bus tour. 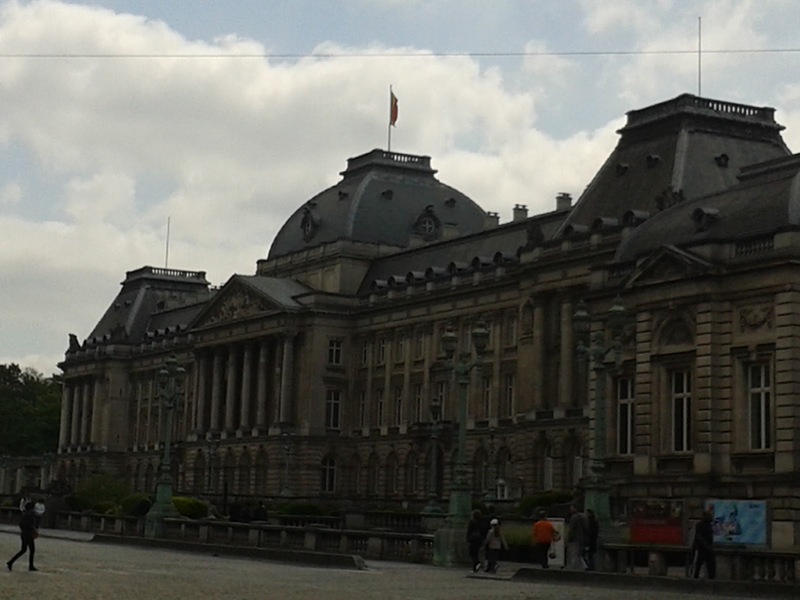 As there are two routes on the Brussels sightseeing tour, we're splitting this over two days. Today we're on our way to Brussels' other famous landmark - one which is considerably larger in size than the Manneken Pis! It's mid-afternoon by the time we arrive at the Atomium. There's lots of people taking selfies and trying to fit the impressive space-age structure into their pictures. As you can see, today is cloudier and cooler than yesterday, but the temperatures are still decent enough for us to leave our jackets behind at the hotel. 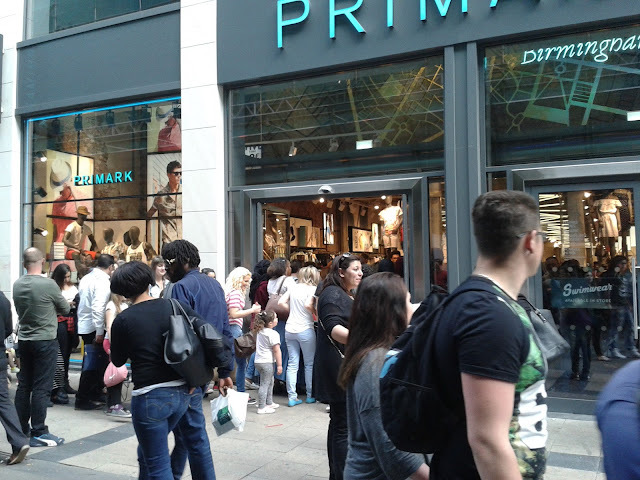 We knew it was going to be busy, but we weren't prepared for the extremely lengthy queues to get to the top. (This was very reminiscent of that time a few years ago during one of our Paris trips, when we decided to go to the Eiffel Tower around 9.00pm on a Sunday night, only to discover unimaginably long queues). Bearing in mind the time of day, and the cut-off time for the sightseeing bus which stops running quite early at this time of year, we decided not to join the queue, or we might end up abandoned at the Atomium! There's a lot going on in this part of town: to the left, there's an Eddy Merckx exhibition going on in the same hall, where if I believe rightly, the 1987 Eurovision Song Contest took place. To the right, there's the Kineopolis and Mini-Europe; again we had to give Mini-Europe a miss due to lack of time. We've already decided that if/when we ever come back to Brussels, we're going to head on over here very early in the morning and get in that Atomium queue :) There is also a nice little food village over there next to Mini-Europe so lunch would be taken care of next time! Rain has been forecast today, and it starts to fall just as we get back on the bus to make our way back to the city centre....it's teatime by now and there is one more thing on today's to-do list. WAFFLES! With chocolate. And cream. And more chocolate :)) Feast. Your. Eyes. Words just can't describe the wonder of this. Then it's back to the hotel to get ready for dinner tonight. Tuesday night was Belgian-themed cuisine, Wednesday night was Persian, and on a rainy Thursday night we're dining at a Lebanese restaurant called the Al Barmaki. Where, or course, among other tasty things there's hummus on the menu. 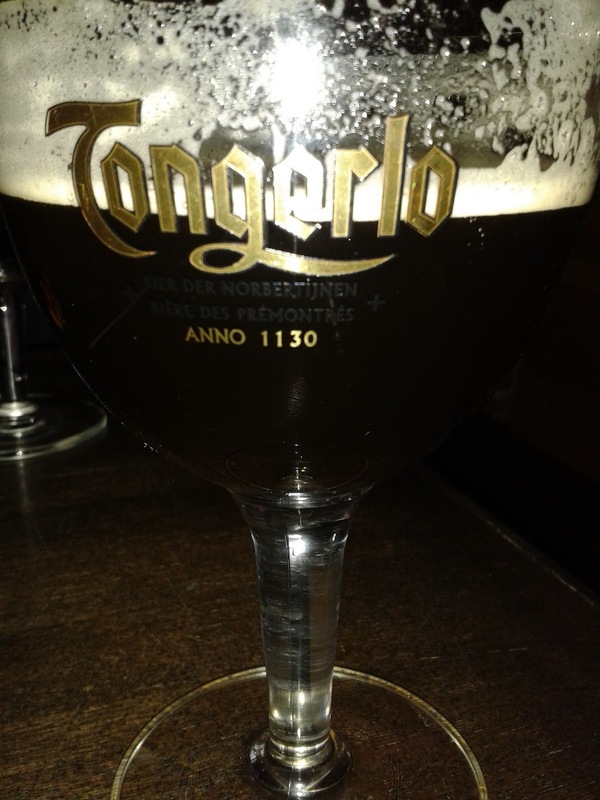 As I mentioned in the previous post there's a great variety of international dining options in this city and all tastes are cared for, so don't worry if the usual Belgian fare isn't to your taste. This Lebanese restaurant hasn't disappointed and we have another delicious meal. Of course there are challenges eating out in Brussels, particularly if you are either completely vegetarian, or a chicken-eating three-quarters veggie like myself, but most menus should have something: although it must be said that most of the fixed-price bargain menus around the Rue des Bouchers tourist trap don't always have a veggie/chicken option. After dinner, it's time to explore another couple of bars in and around the town centre. 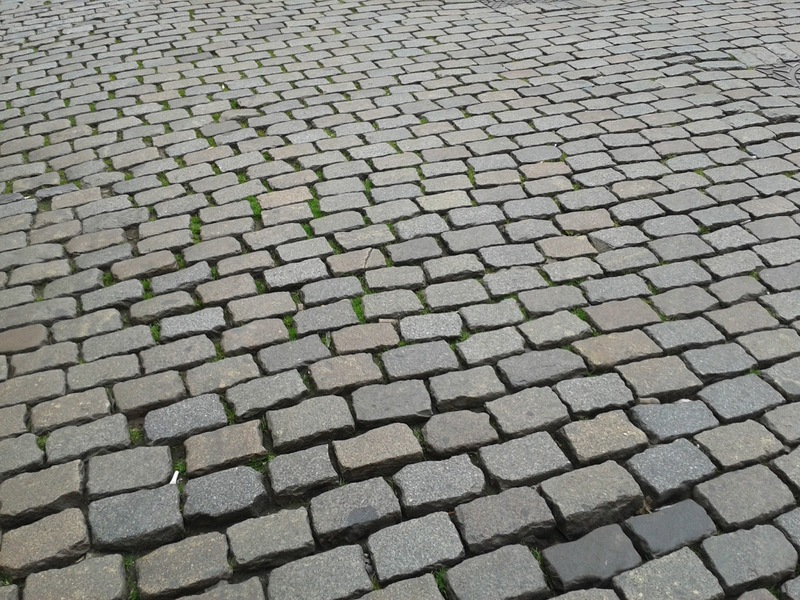 One of these is Au Bon Vieux Temps, further down Rue Marche aux Herbes. This little bar is hidden down a close and when you enter the bar you go back 300 years - yes that's how long Au Bon Vieux Temps has been there. The interior is pretty stunning too - check out that stained glass window. 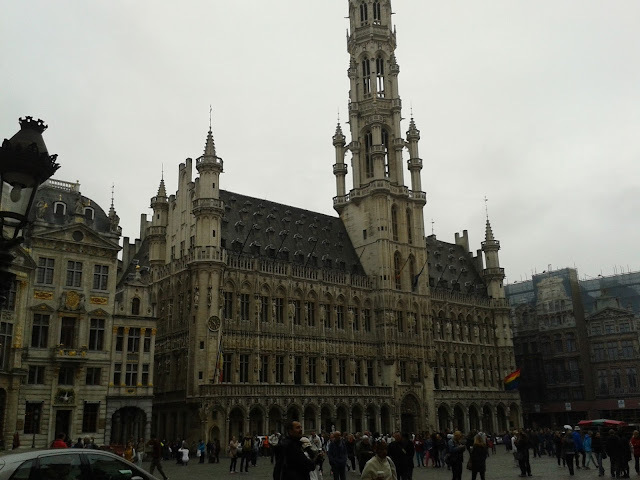 Although we are perfectly situated near the Grand Place, Brussels is a much bigger city than it looks. In the next two instalments we're taking a sightseeing tour beyond the city centre, but today is all about exploring the city centre and checking out the shopping as well. I mentioned beer last night, so here we go again. 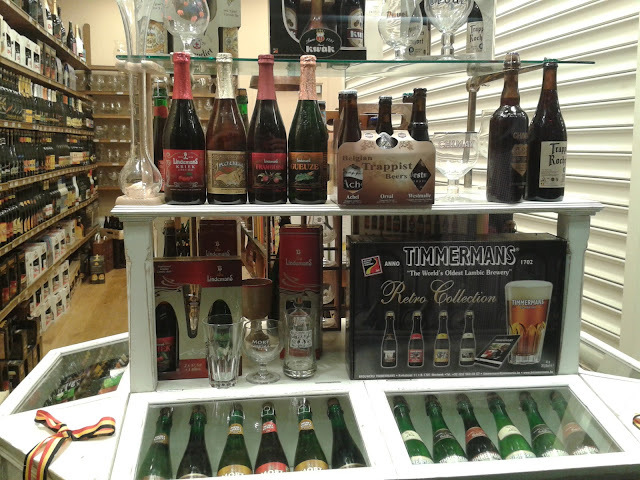 Although there's very little in the way of supermarkets in central Brussels, there are several corner shops/off-licences and there are also quite a few specialist beer shops in the city centre, selling numerous different brands and flavours of beer, with matching glasses. 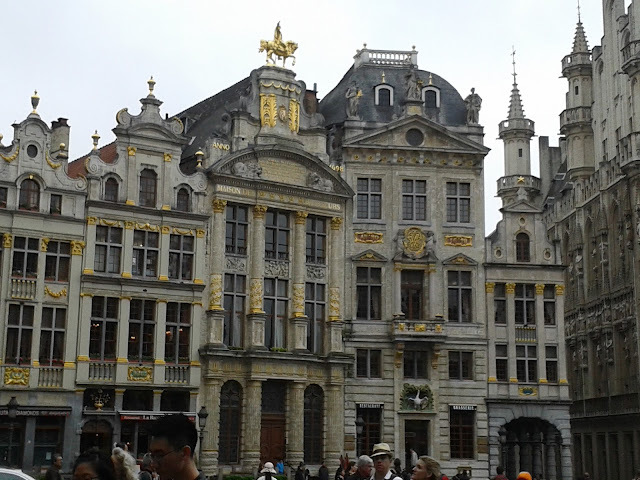 Here's one of those shops, just off the Grand Place. This morning I took a photo of a little row of Greek restaurants in a street just off Grand Place. After lunch, it was time to go shopping. One of the big highlights from our holidays over the years has been a trip to a record shop (or two) to buy some CDs. Sometimes these have been planned purchases, sometimes they have been accidental discoveries. But it was always a highlight nevertheless. In these days of Spotify and streaming, the record shop is an endangered species. 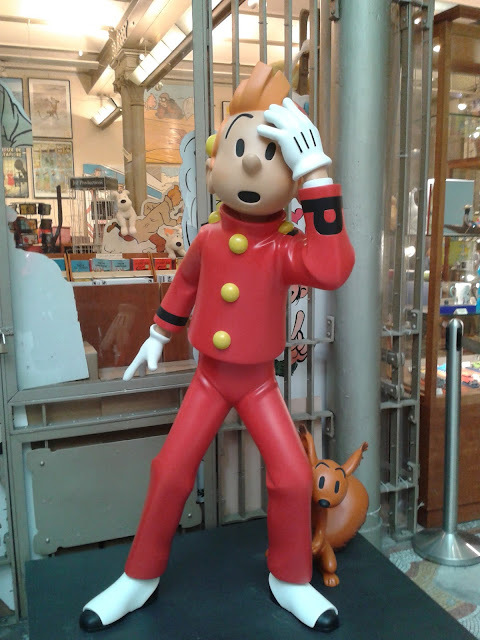 In Brussels, the Virgin Megastore and the Free Record Shop are no longer around, so we had to walk to the end of Rue Neuve to the City 2 mall to find FNAC. We've been regular FNAC-goers on previous holidays so it's good to see this store is still around. The Brussels branch has a decent enough selection of CDs, although these will never match up to the selection available online. But purchases are made (reviews to follow in due course) and on the way back up Rue Neuve we are greeted by this sight. After an enjoyable, but tiring day, it was time to go back to the hotel to get some rest before tonight's dinner. 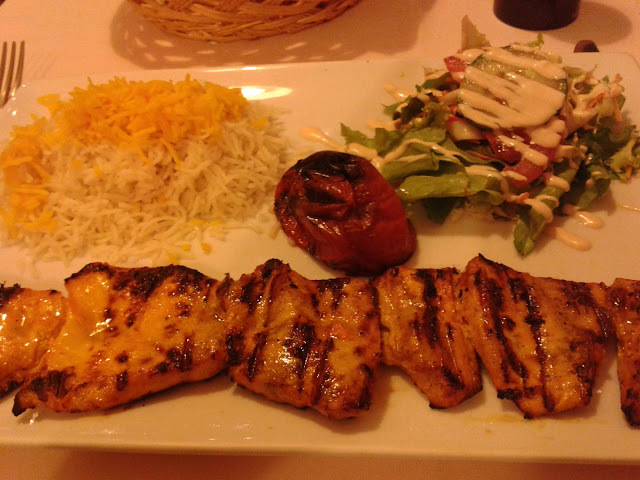 There's a massive selection of international cuisine to choose from in Brussels, and tonight's choice was a terrific restaurant called the Caspian. After a delicious meal we didn't have too far to go for our next hangout, which was just next door! The Goupil le Fol is a very dark, freaky, eccentric and mysterious French-chanson-themed bar. I don't have any pictures as it was probably too dark in there. 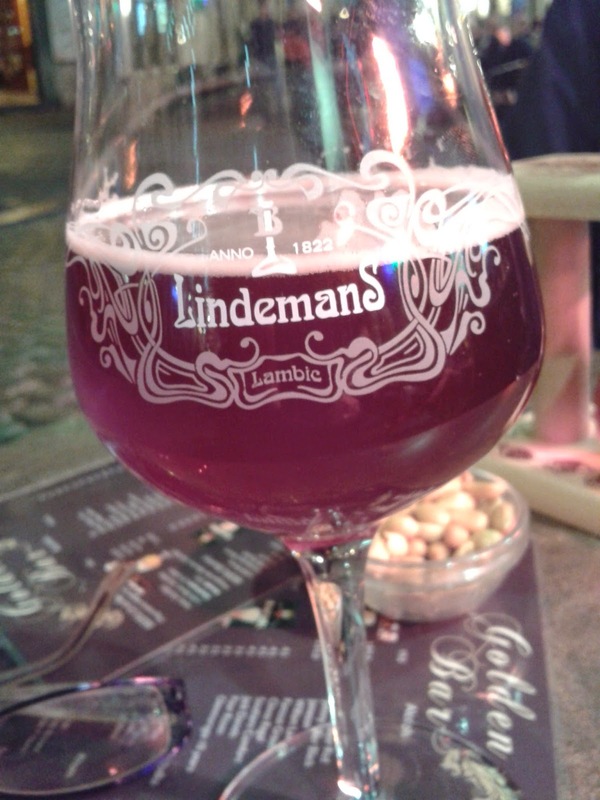 My request for a kriek was declined as they don't seem to serve fruit beers, but they did serve their very own fruit wine, so I had a raspberry wine which was very nice. We stayed on the ground floor but if you go upstairs the very quirky theme continues - it's unlike any other bar I've seen in a long time. Finally we head onwards to an outdoor bar where I finally get my fruity beer. This glass which the beer was served in looks very familiar indeed, as I bought it a few years ago on a previous trip to Belgium! 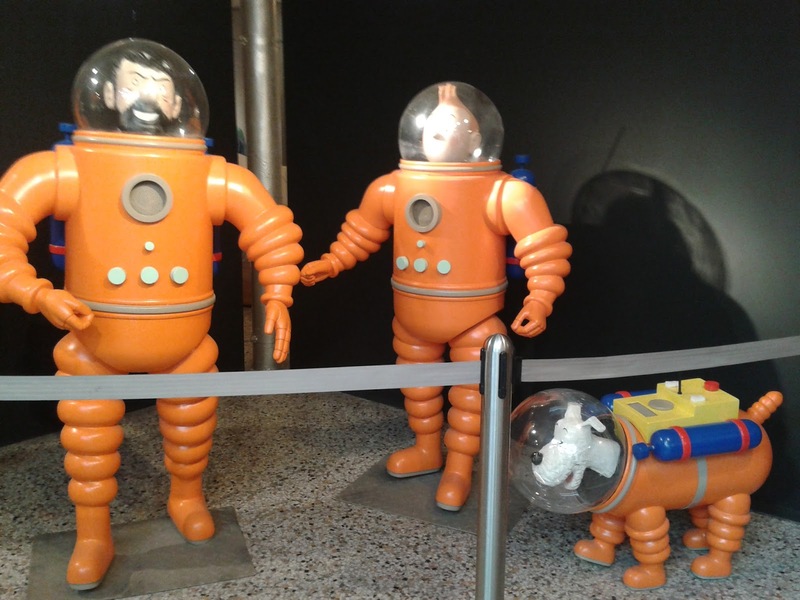 Tomorrow: we're off to the Atomium!